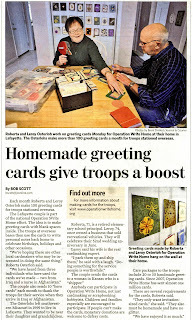 This week 14,709 cards were mailed out - at a cost of $570! All our shippers' shelves are getting really bare; after the Valentine's push, things are coming in slowly. We appreciate your efforts to keep on making cards through this chilly month! NOTE: Tomorrow the annual review will be published - sign up for our mailing list today so you're sure to get your copy right away! Many thanks to the donors of 6,504 cards in this past week! Our total for the month is 34,425 - so with a few huge days to come, we could meet the goal of 52,000 set out at the beginning of the month! In their blog post on January 21, the Creating Keepsakes blog provided their readers with a great list of ideas for all those excess supplies we all have: Organization Week: Donate Your Excess Scrapbook Supplies to Charity. Eeeep. No cards to report mailed this week! We do have some boxes packed after this weekend to mail out, but....we slowed down on incoming cards a lot last week. (Less than 900 came in to WA, come on west coast, I'm cheering for ya!) However, this gives me a chance to update you on a couple things. We'll be publishing the Annual Review on February 1st, so please stay tuned! That either means your email address is incorrect in our system, or you did not provide an email address or packing slip when you sent in your cards. If the latter is the case, we sometimes can get your name and address off the package itself, but sometimes that also isn't possible; please detail what quantity of cards was in your package when you mail in your information. (It's also possible something just totally goofed up in the system!) 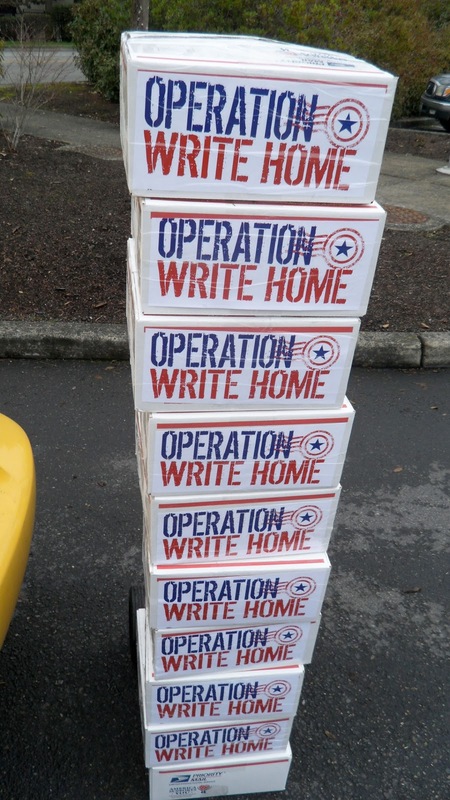 Email info@operationwritehome.org. 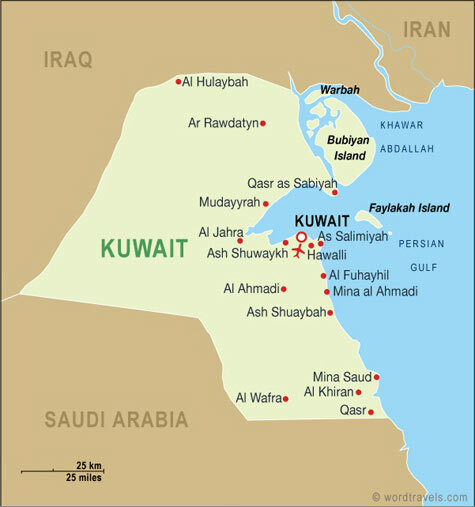 Some of the addresses in our system are old ones, so please get us the corrected address. We can re-send the corrected receipt. 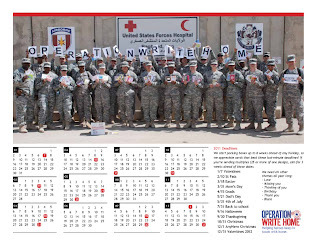 Email info@operationwritehome.org. That means we have you listed twice in our system somehow. We'd like to combine your accounts in our system, and we can send a new combined receipt to you. Email info@operationwritehome.org. Let us know what that number should have been; we'll try to see if there are multiple accounts for you. Sometimes if you didn't include a packing slip with the quantity listed, we ballparked a guess at the total, since our shippers often run short of time to do that part. 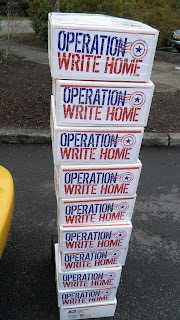 Email info@operationwritehome.org. Relax, you were more productive than you thought you were! lol. Actually, we can correct those, but we'll have plenty of other corrections to make, so if you don't need a corrected lowered receipt, use the one you have, thanks. And while we appreciate your gratitude, don't feel the need to reply to the receipt email - I get 2 emailed copy of every receipt, so my inbox is drowning. LOL. Yeah, the system causes lots of positives but also some, uhm, interesting things! Thank you again so much for allllllll your cards last year! We created this Wordle from the Hero Blog.....feel free to print and hang on your craft room wall for inspiration! 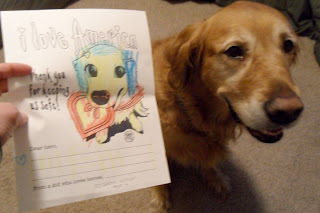 Stampin' and tuckin' on Martin Luther King Day - National Day of Service! Thank you to all these wonderful donors! By popular demand...we've got a great partnership to announce to you today! For some time now, we've had our small rubberstamps with Operation Write Home® on them made by a great company in Florida, Picture My Stamp (Rubber Stamp Manufacturing Services) - and the company owner, Susan Janicki, is thrilled to be working alongside us in a deeper partnership on her other site, StampersBest.com (Deep Etch Rubber Stamps and Cling Cushion Mounting Foam). "It is so exciting to be helping with Operation Write Home," said Susan. 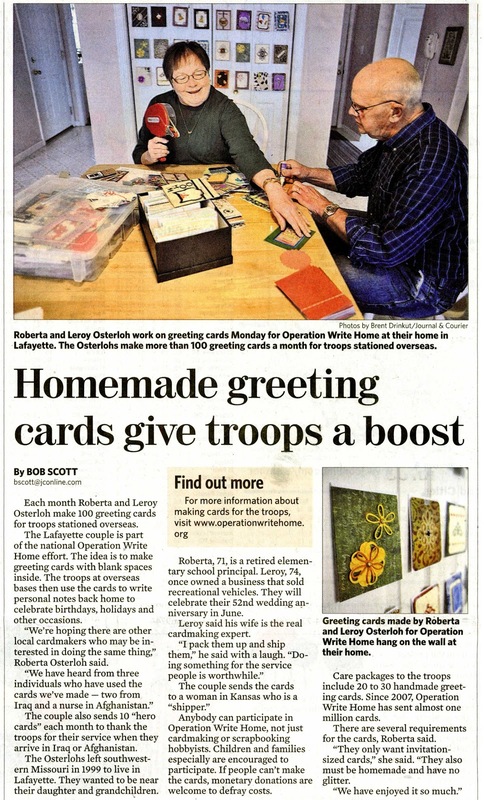 "I look forward to assisting OWH cardmakers in their efforts of making life more pleasant for our military heroes and their families." Now available at Stampers Best: three designs are available with the OWH logo - and YOUR name - in real live deep etched red rubber! Many of you have wished you had a custom stamp to use with other inks - so you can stamp on different colors and papers with the appropriate inks. Delivery time on these will be a few weeks since they'll wait for a few orders to gang up together, but the stamps will be worth the wait! These cost $12 each and come with options - add a few dollars for cling mount, or a block, or a duplicate stamp in case you lose one :) They're available now for purchase at StampersBest.com. Be sure to leave them a big 'thank you' when you place your order! And read on below to hear more of Susan's heart for our heroes. When asked what the company's motivation is for helping OWH stampers in our work, Susan said, "My family is grateful for the sacrifices and protections of the US military. I am the daughter of Polish immigrants who fled communist persecution for democracy. 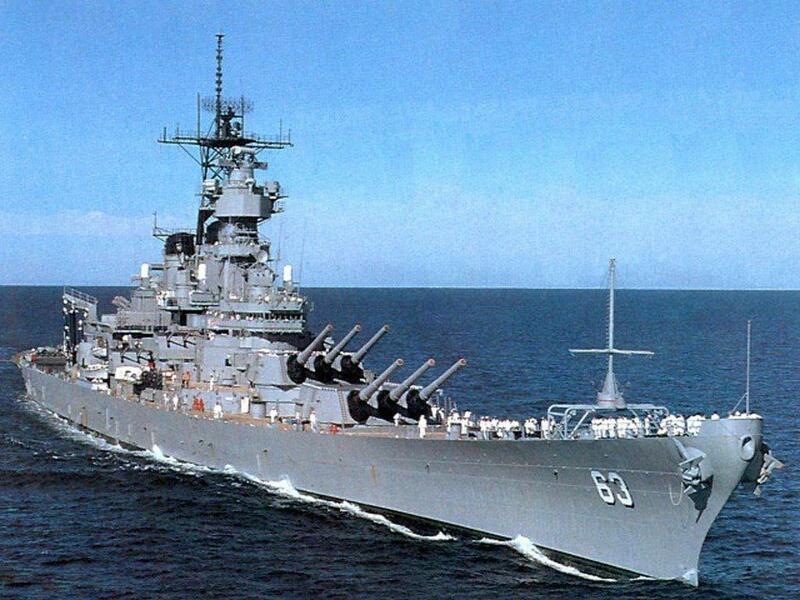 Being born and raised in the USA has provided me the freedom and security to pursue my life's dreams. I strongly believe that our armed forces keep my family and our country safe, and allows global markets to remain open for all to prosper." She continued, "I started my rubber stamp business in '03 while working my day job as a police dispatcher for the county sheriff's office. I pursued both endeavors until my company flourished enough to allow me to work at it full time. Eight years later, my business continues to grow steadily by servicing customers worldwide. I am proud to say that I own a US-based manufacturing company that employs production staff, graphic designers and artists." 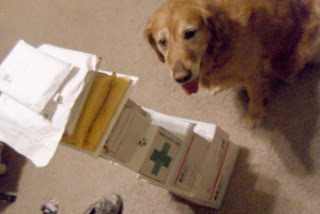 Susan has graciously offered to continue supplying us with the freebie stamps we've been giving away, in order to help us to help YOU help your shipper. 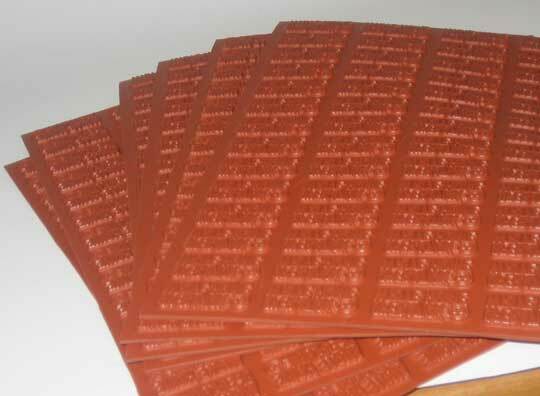 We want you to be able to stamp the backs of your cards, so our shippers can focus on shipping and not triage! :) We are thrilled to be working with Susan and her team to keep this option for a free (non-custom) stamp available! "The amazing power of the internet enables me to meet a lot of new people," said Susan, "and I am inspired by all who share the American entrepreneurial spirit. I know that part of my good fortune and prosperity is directly attributed to the brave men and women serving our country in the military and those who support them." We're also working on another exciting idea with Susan that we'll launch soon, so stay tuned! On today's tutorial on the Stars and Stamps blog, you'll see how you can add cling foam to your own stamp - you may wish to order some while you're ordering your custom rubberstamp! Didja ever get a sign that you're moving just too fast? 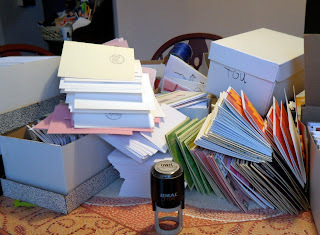 This week 19,516 cards were mailed out - at a cost of $740.15! Many of you are working on your taxes right now - and we're working on getting the receipts for your 2010 donations emailed out, starting this week! We've got a whole new system, so we have to do the mass email in a particular way: we're only allowed 250 receipt emails per day (so your computers and ours don't think we're spambots! )....so starting later this week, after our board meeting, we'll be sending out 250 each day. You'll receive a summary of all of 2010 in one email - your cards and AnyHero letters as one number, and total financial donations. Note that if you have not provided us with an email address, or your email has changed, you may not be receiving an email receipt. We'll post a notice here once the receipts have all gone out - if you don't get anything by then, you'll be able to email us with a corrected address and we'll get that done for you quickly too! This afternoon, those who have sent cards in January 2011 are getting receipt emails for donations so far this year; once those are caught up, you will be receiving an emailed receipt, rather than the email from your shipper notifying you of your package's arrival. It'll save us so much time to both provide your receipt AND let you know your cards are here, all in one email! Thanks for your patience with our new system! We've got some more things going live this weekend on our website, and wanted to be sure you know about them! Cardmaking party signup and calendar: On the party page, scroll to the form at the bottom and enter your party info; Kate will get it added to the calendar as soon as she's able. First card drive challenge of 2011!! Find out the details there, and pick up a badge to put on your blog to help us get the word out. Like us! Many of you already do on Facebook...you're our wonderful fan page fans! Like us! Once you're on Facebook, click that "like" button for the things you like. The way Facebook works, they recommend sites to people who are interested in that topic; the more popular our posts are, and the more interaction (photos and chatter) you post on our page, the more Facebook recommends us to others who also post about cardmaking - for free! Like us! We've added "Like" buttons to our blogs, and will soon be adding them to our site as well...click "Like" on those too! Leave comments as well....the more likes and comments we have, the higher we appear on Google's page when someone searches for anything about cards and cardmaking. After you click like, you can leave a comment - that'll post it on your fb WITH a comment from you! 14,963 cards were received this week - WOW! Stunning numbers...thank you for making sure all our heroes got boxes for Valentines Day! The hero mail is an awesome thing too - keep it coming! Kris is particularly short on it - so if you have a pack of AnyHero mail only ready to go and can redirect to her, that'd be super! We just updated the packing slip, and we really really really really hope you download this, and replace the one you had before! One of the added features on this will really help us out - we're trying to keep up with our database, and if your snail mail or email address has changed, we want you to check the little box. Thanks for completely filling out the form for us....it keeps us from having to set your box aside to count cards, or googling the postmark to see if we can guess who it was. This week 8,925 cards were mailed out - at a cost of $335.80! We're so grateful to everyone for coming through with cards at the last minute - we had some concerns about whether or not we'd have cards for all our units, but it appears we will - hooah!! Please be sure to check out the note on yesterday's post about spring cards so we can keep the boxes going out through the spring seasons! Without futher ado, here's the list of locations our boxes were sent out to in this first week of 2011! Important note about spring holidays! If you're making a lot of cards for any season, remember to get your cards in TWO WEEKS BEFORE these posted deadlines; sending a couple hundred cards right at the deadline really makes it nearly impossible to get your cards mixed in the last couple boxes! Making "general" cards that can also be used for a holiday are the MOST useful to our heroes. We got lots of "love" cards as well as ones that specifically said "Happy Valentines Day" --- that helps a lot when we don't know how many heroes will be sharing a box.....they can use the general love cards, but don't have to write them all out before V-Day. So - "Lucky to have you" and "Some bunny loves you" are great sentiments for spring! 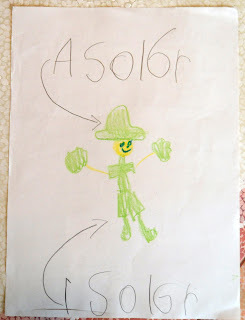 Though we do send out St Patty's Day cards, we send a lot less than we do for Valentines and Christmas - we've never gotten one request for St Pat's cards, and we've gotten some surprised comments like, "Wow you even send St Pattys cards!" So - the need is NOT as big for these as for other holidays. You may still make St Patty's cards, but if you would have to go buy new stuff to make them, we'd love to save you the expense and ask for you to focus on our general cards - thinking of you, birthday, missing you, love, thanks, and no-sentiment. We need LOTS of these, and your help in getting those for us would be awesome! 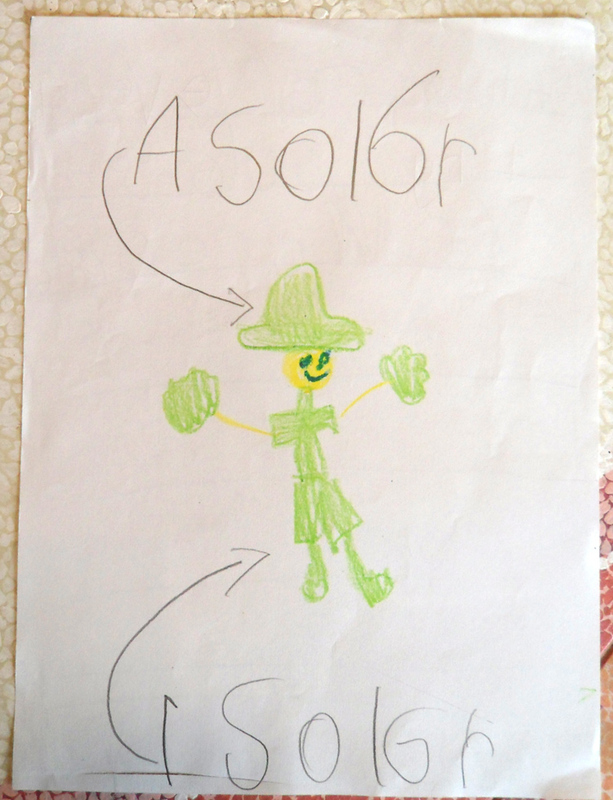 ADDITIONAL NOTE: It's hard to avoid with St Patricks Day cards, but do NOT send cards with alcohol references. These cards are being sent to contexts where local laws do not allow drinking, and though these cards are in the hands of Americans, we do not wish to offend any of the locals they work with - nor encourage our own heroes thinking about things they can't have while deployed. Bunnies and chicks, as well as religious cards are welcome. You can also make "spring" sentiments for those who don't celebrate Easter! It's not too early to start thinking about Mom and Dad cards! Consider sending in a half dozen of these while sending in your other spring cards, just to get our stash built up for the first Moms Day boxes! Also - if you can separate your cards out so that the ones that say "Happy Mother's Day" are separate from the ones that say "Love you Mom", that helps us be able to get the Mother's Day cards targeted to mail first, and fill in with the general ones! Inspiration today over on S&S! Just wanted to be sure you check the Stars and Stamps blog today - we've got a special treat for you from GinaK! This week 15,205 cards were mailed out - at a cost of $548.20! What a way to send off 2010!!! Jan 7 - Valentines - that's this Friday! Hurry!